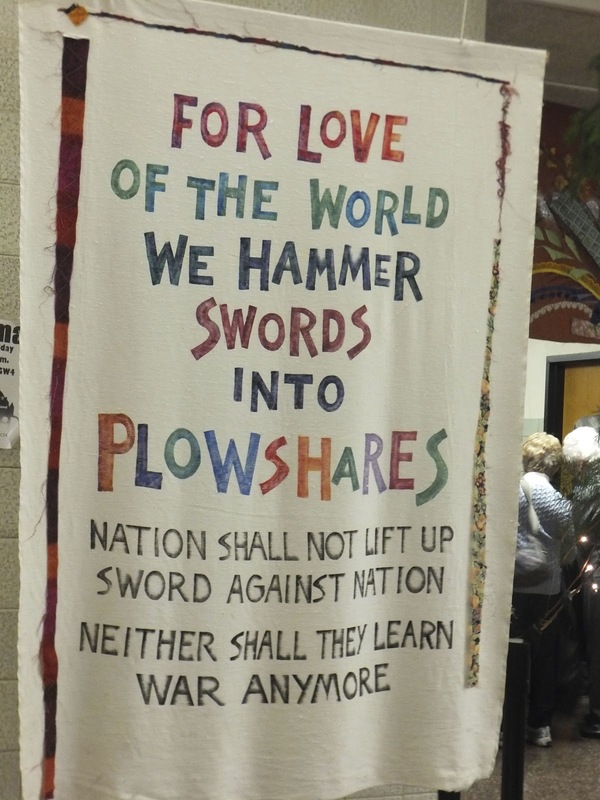 Plowshares 2014 – Our First Year! 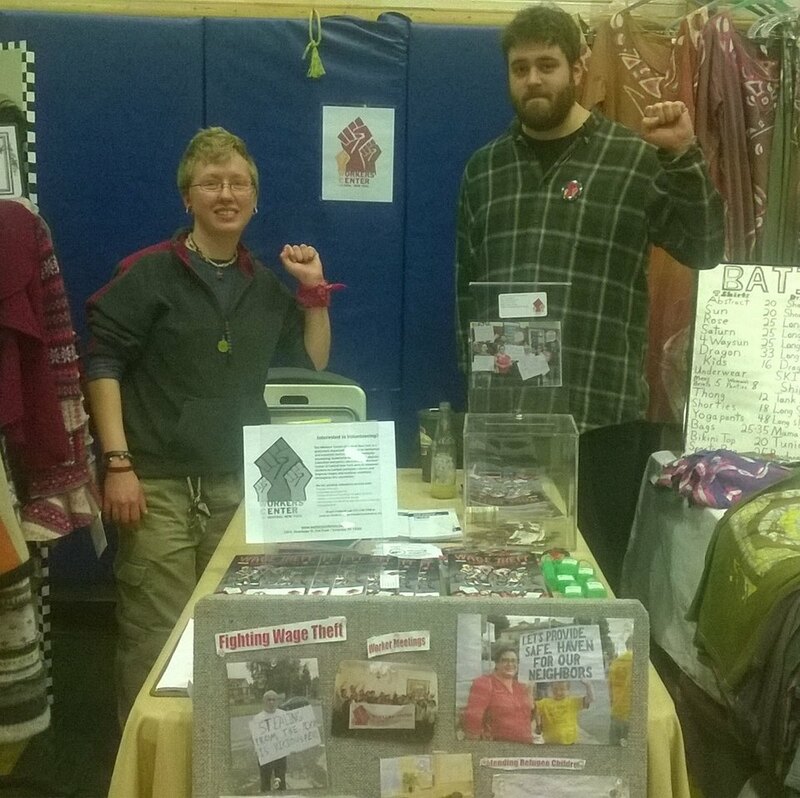 This December, the Workers’ Center of Central New York participated for the first time in the Peace Council’s annual craft and peace festival. Called Plowshares, the Peace Council uses the craft fair as a dual opportunity – folks can go holiday shopping and choose from a variety of locally made craft goods, and while they are doing so they can also speak with, and pick up literature from, local peace, labor, legal aid, and environmental organizations. This year, the Workers’ Center was one of the organizations running a table at the event. We had fun, collected donations, and engaged with several people who expressed an interest in volunteering with us… All in all, it was a worthwhile event and we look forward to next years’ fair. Next year will be bigger, and better, and we will also have crafts made by our members and their families available in exchange for a donation. See you then! And a big thanks to the Peace Council for organizing the event!